Harvey Nichols' new campaign features the first 100-year-old model to appear in Vogue. To celebrate the fashion magazine’s 100th anniversary, a print ad features Bo Gilbert, who was born in 1916, to appear in the June issue of Vogue. 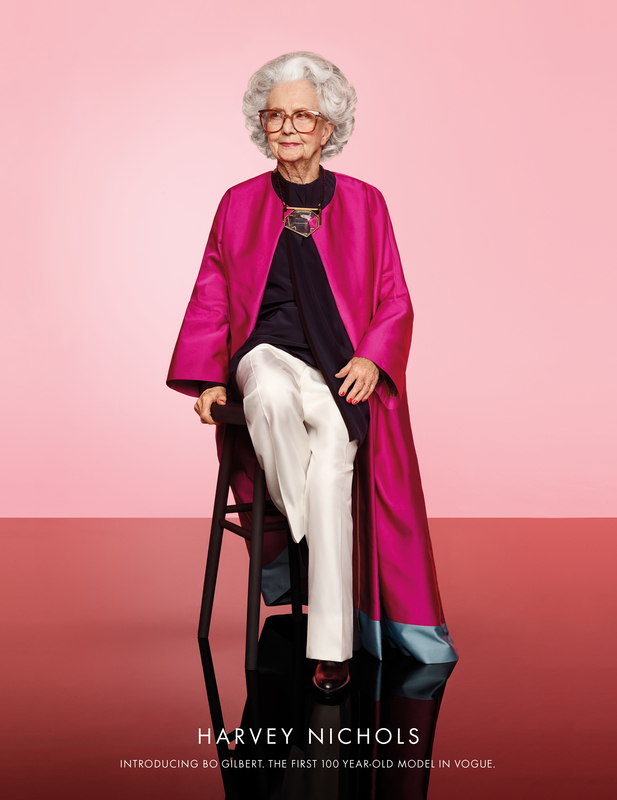 Adam & Eve/DDB created the campaign to tackle ageism in the fashion industry and promote the retailer’s "attitude and willingness to do things differently". A two-minute behind the scenes film will also run across Harvey Nichols' website and social media channels. ZenithOptimedia handled the media planning and buying for the ad, which was directed by Kell Mitchell through Twenty Twenty. Shadi Halliwell, the creative and marketing director at Harvey Nichols, said: "We devised a campaign that reflected the playful attitude Harvey Nichols is famous for, celebrating both the 100th anniversary of British Vogue, and also style in its entirety. "It was a privilege to work with Bo, she is a fabulous, independent lady who epitomises timeless style."